After completing our refit at Gulf Harbour, we left for Opua and the Bay of Islands where we would stage and wait for a weather window for the 1100 mile sail to Fiji. To test all our new systems, we sailed first to Kawau and Waiheke Islands in the Hauraki Gulf near Auckland. 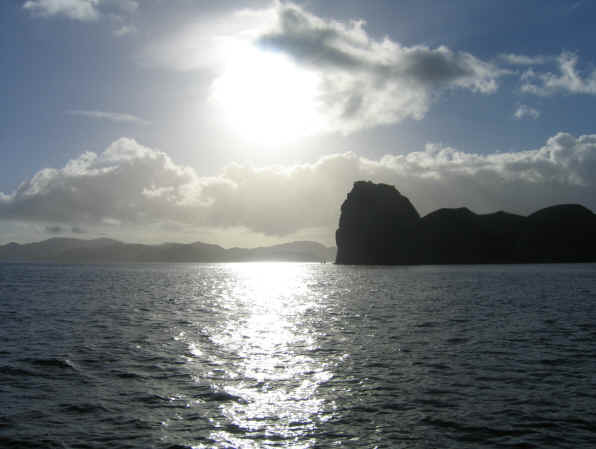 Then, after shaking out a few problems, we sailed north for a few days stop at Great Barrier Island. 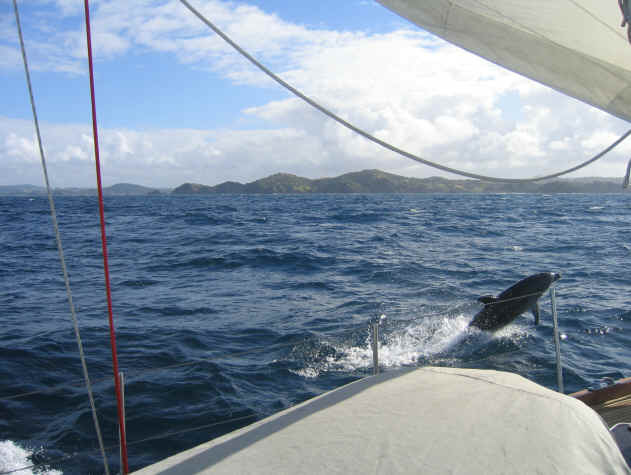 We arrived on April 16, 2004 and enjoyed the company of dolphins along the way. We entered Great Barrier Island through narrow Man O' War Pass (shown above) and headed to the very protected Kaiarara Bay. It was a beautiful spot and just a few boats were there. We anchored and checked out the hiking trails and the lone restaurant just across from where we dropped the hook. That evening, we enjoyed a nice dinner with some of the locals at The Jetty restaurant. We learned it was only open one night a week and we just happened to pick the lucky day. 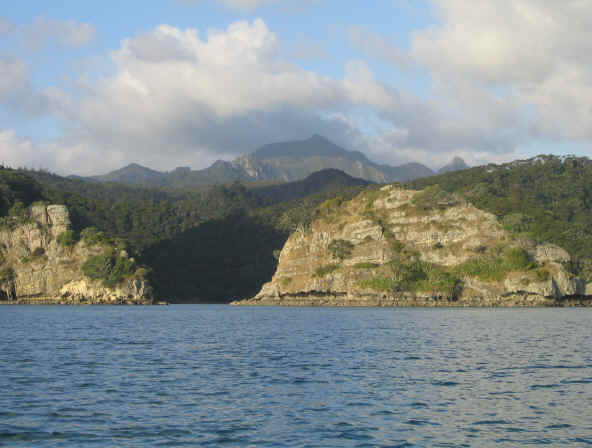 After several days at Kaiarara Bay, we moved a short distance to Kiwiriki Bay. This was another pretty spot and we were treated to a sighting of dozens of little penguins swimming across the bay making an incredible moaning and groaning noise as they traversed the water. They came by right on schedule each day and it was a kick to watch them. We were also fortunate enough to see the very rare brown tern. There are only an estimated 1000 of these cute little ducks in the world today and they're native to New Zealand. In fact, 80% of them live at Great Barrier Island. 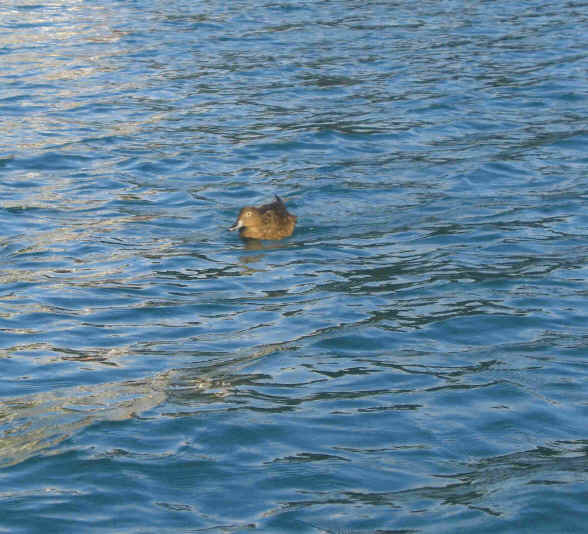 They would swim right up to the boat and watch every move we made with their big brown eyes, obviously looking for a handout. 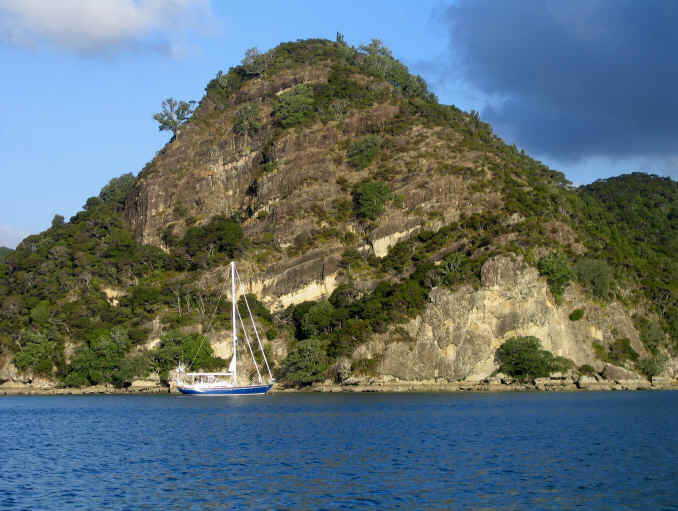 There were numerous places to anchor in sheltered coves with beautiful scenery at Great Barrier. The photo above shows Mount Hobson (621 meters, 2050 feet above sea level) in the distance. There's a hiking trail to the waterfall about half way up the mountain. The more industrious can take the trail all the way to the top. Just across from where this photo was taken is a place called Smokehouse Bay. This is where a local Kiwi offered a few acres of land for the enjoyment of visiting yachties. A smoker is there to cook freshly caught fish. There are walking trails, beautiful views, three wash basins and ringers to do your laundry and even a bath tub if you're so inclined. It was a very nice gesture and we understand from the locals its a great place for a party. After a week’s stay, we decided we’d better start heading north to the Bay of Islands. It was 52 miles to Tutukaka, a nice stop on the way. So, on April 23, 2004, we headed off and had a nice sail in 15-20 knots of wind out of the east. We arrived at Tutukaka by 3:00pm. Our friends, Dave & Gay on MOBISLE, sailed up from Gulf Harbour at just about the same time. That night, we had a nice dinner together with a fine New Zealand wine at the Schnappa Rock Café. We slept well that night despite the fact the anchorage was a bit rolly. 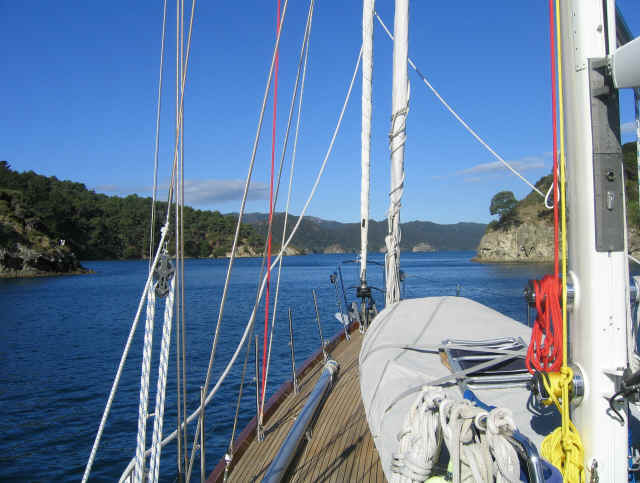 The next morning, we left for Opua and the Bay of Islands. Cyclone season would soon end in the tropics and the migration of yachts was about to begin. Click here to proceed to The Bay of Islands.